I have been eagerly awaiting this blog post, having been warned about it some months in advance. I’ve had Google Translate on stand-by during this time, knowing that it would slip in under the Dutch line. So, here it is. 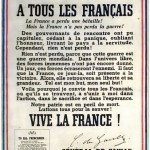 Thankfully, I am happy to see that you are pointing fingers at General DeGaulle (or his PR person) and not at me. For, as you well know, I am perhaps one of the worst offenders. I must, however and in my own defense, point out that my use of exclamation points does follow my way of speaking, which has been described alternately as breathless, excitable, charismatic, and, from time to time, exceedingly gay (as I myself am). In fact, in regards to the final indictment, I was once given a bad grade in high school after reading a novel published with late 19th century British punctuation when I then used that same punctuation in a thesis, thus: co-operate, naïve. Needless to say, dear Mrs. Kilgore (a cross tartan of an English teacher from the Deep South) was not amused. Sadly, she departed this life not long after (not from seeing bad punctuation, fortunately) and, at times, I sense her practical spirit hovering near you my dear Mia. Frank, you’re the best! 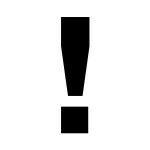 You’re actually one of the few people to whom the exclamation mark comes so naturally that it doesn’t even bother me. Thanks for your great comment.